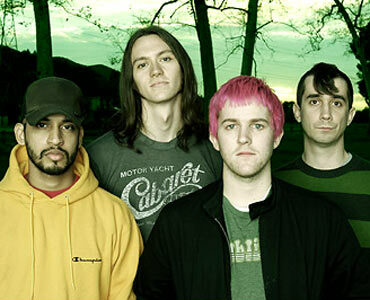 Saves The Day Biography, Discography, Music News on 100 XR - The Net's #1 Rock Station!!! The Punk-Pop band Saves The Day formed in Princeton, New Jersey USA, in the winter of 1997 with primary songwriter Chris Conley on vocals and David Soloway on guitar; the two, who have been playing together since they were 16-years old, teamed-up with guitarist Ted Alexander, bassist Eben D'Amico and drummer Bryan Newman. Soon after their inception the quintet recorded a demo-disc and began playing shows not only in their home state, but up and down the East Coast. With the August 1998 release of their Equal Vision Records debut album, "Can't Slow Down" and the two subsequent tours they did in support of it, Saves The Day were able to create lot of buzz about themselves. The quintet returned over a year later issuing a sophomore effort, "Through Being Cool", in November 1999; getting their feet under them with this album, they earned a much larger following in the Punk movement. With their third CD, "Stay What You Are", released on Vagrant Records in July of 2001, they entered The Billboard Top 200 Albums chart at #100; the band supported it by touring with the likes of Dashboard Confessional, Weezer, Green Day and others. Two years later, the band, signed a new deal with DreamWorks, reconnected sans original guitarist Ted Alexander and with Pete Parada behind the drum kit releasing "In Reverie" which peaked at #27 on The Billboard 200 Albums list, their best chart placing to date. After a brief stint with a major label, Saves The Day came back on Vagrant Records and with new bassist Manuel Carrero, the quartet recorded their fifth full-length disc, "Sound The Alarm", reaching the #67 position on The Billboard 200 upon its April 2006 release. 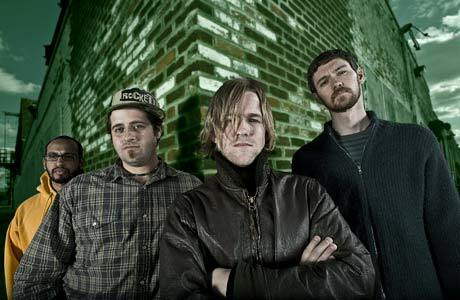 The band's next CD, "Under The Boards" the first Saves The Day release to feature new drummer Durijah Lang, released in October 2007, was the second installment of a three-album trilogy, continuing a story about self-discovery that began with "Sound The Alarm". The third album, "Daybreak", followed in September 2011.